The agency GRAND SOUTH ESTATE is your trusted partner in the Var region to buy or sell. You will enjoy personalized service to achieve the best conditions in the purchase of a house, an apartment, a house or business in Toulon and its surroundings. If you are a homeowner, professionals SOUTH GRAND ESTATE advise you to showcase your property and propose to highly qualified buyers as soon as possible. For a successful purchase or sale of property in Toulon, Carqueiranne Pradet La Garde La Valette, Hyères les Palmiers or Sanary sur Mer, get help from a specialist located on the Var coast for many years. 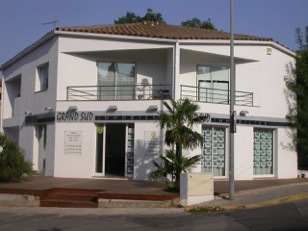 GREAT SOUTH REAL ESTATE also offers rental services for houses, apartments, offices and shops. Discover without delay our latest property!